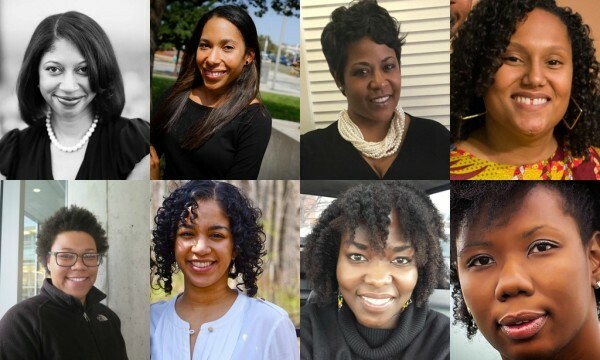 This year’s graduating class at the Indiana University School of Education will be noted for making history as eight African-American women from the class are candidates to receive their PhD’s in Education together. Demetrees Hutchins, Nadrea Njoku, Jasmine Haywood, Johari Shuck, Tiffany Kyser, Jada A. Phelps-Moultrie, Juhanna N. Rogers and Shannon McCullough, known as “the great eight,” weighed in on the achievement in an interview with Fox 59. The station noted that the weight of the moment hit the ladies after beginning the education program when they realized that not many women of color had come before them or at least not at the same time. “We understood very early on that we had a distinction, a commonality, a thread between all of us and so we began to meet as a group,” PhD candidate Nadrea Njoku told Fox 59. Although they were on different paths at different times, but the women unified in cheering each other on in a field that sees less than two percent of African-American women. The group will walk across the stage in May to get their well-deserved degrees. “We often deal with this idea that we always have to do more. And our collective black female community here we were able to tell each other you’re enough,” said PhD candidate Jasmine Haywood. As things got tough, the great eight found themselves leaning on them each other to stay sane. “We really value the fact that we need each other to deal with emotional expression,” PhD candidate Johari Shuck shared with Fox 59. Despite their collective accomplishment, the group admits that some anxiety can come with the being singled out often, which can become burden. “When you’re the only or one of a handful of people of color in the classroom particularly when it comes to speaking about issues of race. You can often become the token or spokesperson,” Haywood said. Overall, the great eight wants to send a message that the bond they have isn’t just about them. It’s for all groups who share the same feelings. “Standing in solidarity with each other as women and as black women but also opening up a space where we’re standing in solidarity with other historically underrepresented marginalized groups in the university,” PhD candidate Tiffany Kyser explained. As for all the attention they’ve received for their journey to making history with receiving their PhD’s together, the ladies state they ere surprised by it all as they look toward the future where other women of color can flourish after them. Coming up for the group is a scheduled meeting with school leadership to discuss ways to make the school of education more inclusive, with plans to discuss mentor programs and recruitment efforts. In addition, the group will spend this summer defending their dissertations. “If we get more images of showing us in these positive lights. Then we can truly say this is nothing special because it happens all the time. So until we get to that point we’ll be the great eight and we’ll shine that light on it,” said PhD candidate Demetrees Hutchins.